This recipe is extremely easy to make. 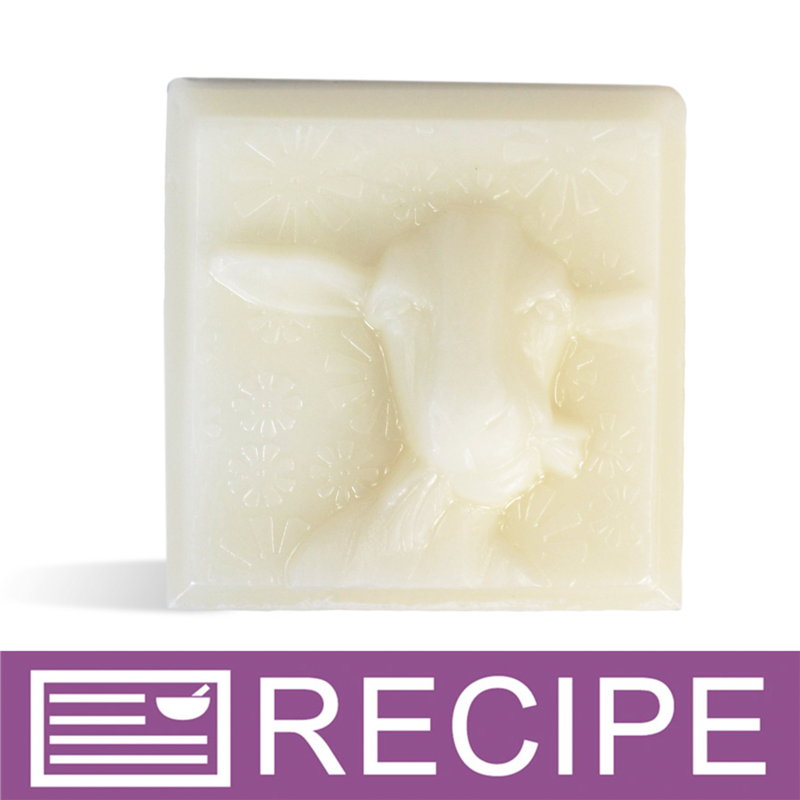 We used a goat milk soap base so that the milk is already added and complemented it with an all-time favorite fragrance, Oatmeal, Milk & Honey. INCI Ingredient Label: Sorbitol, Propylene Glycol, Sodium Laureth Sulfate, Stearic Acid, Lauric Acid, Water, Sodium Hydroxide, Glycerin, Goat Milk, Fragrance, Titanium Dioxide. 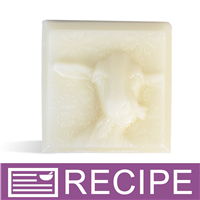 To measuring cup, add goat milk soap base and melt in microwave. To beaker, add fragrance and stabilizer and mix together. Add fragrance to melted soap and mix well. Pour soap into mold and allow to harden. Remove soap from mold and cut into bars. "Does this soap have to cure before selling or using? If so, how long does that generally take?" Staff Answer This soap does not need to cure before selling or using. It can be used right away.